org provide great resources on this. Current insured people are already reaping the benefits of this act. President Obama’s health care plan is beginning to pay off for those already insured. If a person currently carries health insurance, and they spend less than 80 percent of the premiums paid, they get a rebate from the insurance provider. Over a billion dollars of medical debt relief has been given back to consumers. Non-profit organizations such as Navidebt.org provide great resources on this. 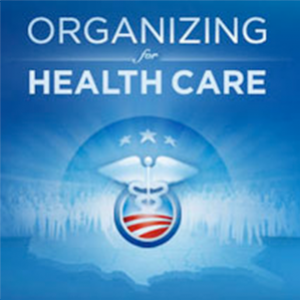 The Affordable Care Act is gearing up to be in full swing by 1st October. Current insured people are already reaping the benefits of this act. There are many benefits of Obamacare that some are not quick to point out. The White House has set out to educate the public of the benefits of the new health insurance regulations. Beginning in October, there will be a six month enrollment period. Before this happens the White House wants to educate the public on just what the Affordable Care Act will do for consumers. There will be “growing pains” as all this comes into effect. For example, it was decided to give large employers more time to comply with the requirement that all staff be insured or face stiff penalties. The largest portion of the Act will be difficult for the uninsured. This portion is not ready to implement as yet. President Obama states, "Our broken health care system threatened the hopes and dreams of families and business across the country who feared that one illness or one accident could cost them everything they spent a lifetime building. Step by step, we're fixing that system. Affordable health care is not some privilege just for the few. It's a basic right that everybody should be able to enjoy." It is going to be difficult to convince Americans currently insured that they will not be adversely affected by the new health care plan. The state of New York will see their premiums reduce by a considerable amount. Ten other states are also in line to feel the relief of lower insurance costs. Tax credits will be available for low and middle income people. Monthly premiums will vary greatly from state to state. Vermont is slated to have the highest monthly cost for insurance while New Mexico will have a lowest rate. Republicans oppose the new health care laws. The GOP doesn’t give a balanced opinion of the new system. They instead highlight the negative parts of the act. Some parts of the law are still being debated. Speaker John Boehner said in a press release, "The picture that the president paints of his health care law looks nothing like the reality facing struggling American families, House Republicans will continue our efforts to fully repeal the president’s health care law in its entirety once and for all." Obama can be 35 years powering the Azure Cross research exhibiting that 15% associated with medical admissions for individuals that drank along with smoked cigarettes were related throughout price to be able to 85% associated with admissions in case you did not. In case men and women decide to wreck their particular wellbeing by means of smoking along with drinking, that is certainly their particular freedom, nevertheless exactly where may Our lawmakers have the undeniable fact that anyone must be taxed to fund this awful ruling of the requiring health care bills? That they receive that thought coming from Massive Pharma. Massive Pharma donates greater than $1 Billion dollars a year to be able to re-election advertisments and since one U. Azines. Senator stated, "They own us all. inches Obamacare seriously isn't about health. It is about prescription medications for everybody. Every person need to qualify just as much health care bills because they have enough money, but they should have to find out there's a inverse connection along with wellbeing. The greater prescription medications one will take, this more serious her or his wellbeing will become.